With a career that spans more than three decades, Candace is known nationally as an advocate for women’s financial independence. As a trusted financial guide, she has enhanced the lives of thousands of people through her non-profit endeavors. Candace has received recognition for her achievements from Investment News, KPBS, the North County Times, the San Diego Business Journal, Soroptimist International, and National Register’s Who’s Who. An accomplished and dynamic speaker, Candace enjoys motivating a variety of audiences to take charge of their financial lives. Corporate seminars (e.g. Hewlett Packard, 1st Pacific Bank, and Nordstrom) have given her the platform to reach and empower thousands of people. In addition to her corporate lectures, she speaks to charitable groups and foundations when time allows. Candace co-authored the book, It’s More Than Money—It’s Your Life! The New Money Club for Women (John Wiley and Sons, 2004). The North County Times Newspaper ran her weekly finance column, It’s Your Life, on the front page of their business section for over four years. Candace also wrote a monthly financial column for Décor & Style magazine for almost a decade. She was featured weekly on CNN Local Headline News and a weekly Women & Money segment on KUSI TV. Candace is widely quoted in women’s magazines as well as The New York Times, Fortune, Bloomberg, and Money Magazine. She has appeared on MSNBC, CNBC and NBC Nightly News. 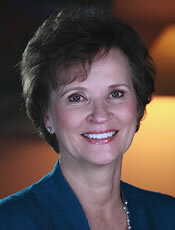 Candace Bahr received her degree in Economics from the University of Wisconsin, Milwaukee. She has lived and worked in the San Diego area with her husband and business partner, John Baranowski, for more than 30 years. Their daughter Carrie is a successful architectural designer in Los Angeles.